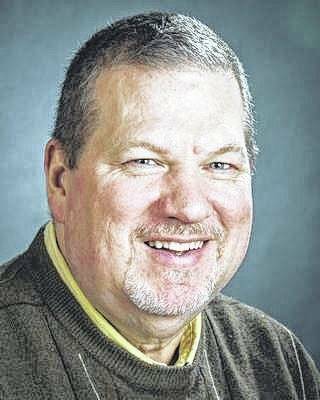 Column: Do you have some off-beat holiday traditions? In the future — say 1,500 years or 2,000 from now, after the apes, gorillas and orangutans have taken over the planet — what will archaeologists say about the former residents of Crawford County when they start digging around in our 21st Century ruins. What will they think when they open a time capsule buried beneath Galion’s Heise Park. I’m speaking specifically of Christmas and the strange way we celebrate this holiday. The Galion Inquirer is looking for readers willing to share a photo and example of a holiday tradition their families have. There are a lot of traditions we all share, but does your family do something a little different each December. We’d love to hear about them. Email editor Russ Kent at rkent@aimmediamidwest.com or galnews@aimmediamidwest.com. They’ll pry open and break the seal on that time capsule and find boxes decorated with colorful red and green paper. Inside the boxes will be colorful neck wear, plastic cards with$50 written on them for something called Amazon, perhaps green, artificial tree-shaped like a cone about six-feet tall. Maybe something in a hermetically-sealed bag called reindeer chow, next to a hermetically sealed plate with some piece of food shaped like that same artificial cone-shaped thing, adorned with the words Thank you Santa Claus. Who, or what, is a Santa Claus? There will be photos and posters and cards and envelopes filled with portraits of a fat white guy with a full-beard and a red and white suit. What would they think? Is this a Santa Claus, or a different version of the Buddha? I can imagine the confusion they’ll feel when they open up a a moldy cardboard box with “X-mas Stuff” written on it, and dozens of wool, cotton or synthetic pieces of clothing in various stages of rot. They are decorated with caricatures of deer, something called Chevy Chase, snow monsters, stockings, sleighs and hanging from this clothing are lights bulbs that no longer work and “AAA batteries/” that are starting to dissolve and leak. First off. What the heck is ‘X-Mas’? And for what reason were people made to wear those garish things called sweaters — ugly sweaters from JC Penney, one tag read. What a brutal place 2017 Ohio must have been. Were these things part of ancient burial ritual. Was this apparel meant for prisoners set to die on December 25. That date keeps popping up in this ‘X-mas’ box. What was the significance of December 25? The ancient Egyptians often buried clothing and food and tools and armor and gold along with the bodies of kings and queens. Would they think the people of Galion, Ohio were some kind of royalty, but looters had stolen the actual bodies? Who were these “elves” as one box read? What was the significance of that “shelf”? Whatever these “elves” represent, they have lived horrible lives. Their are faded photos of these elves tied to ceiling fans, running away from something called a vacuum sweeper, being munched on by dogs, swinging into rooms atop a tinsel-covered wrecking ball. And what a weird bunch of people these Galionites were. But what inside smells nothing like fruit. And it looks nothing like cake. It looks, like, well wax-like. Still, after 2,000 years, for some reason these “fruit cakes” appears amazingly fresh. If they weren’t so ugly, they might be even cedible. But why were these “fruit cakes” embalmed? And why are there no bodies in this burial vault? Yes, our customs may seem a little odd to future Earthlings. Anyway, that’s the point of this column; Christmas and holiday traditions. Every culture, every family, have customs they repeat each year: Decorating the tree on Christmas Eve. Decorating the tree on Thanksgiving Day. Decorating the tree the day after Halloween. Some families go out and choose a live Christmas tree and cut it down themselves. My friends and I tried that one year. But only once. The Colorado Blue Spruce we topped on a local golf course took years to recover from it’s amateur crew cut. Still it did look good in that family room. But for years, the members of that golf course wondered what kind of storm rolled through the area that so perfectly lopped off the top six feet of a beautiful Blue Spruce, but did no harm to anything else. Some families open one gift on Christmas Eve. Some families have stockings, not just for the kids, but for each adult, too. Some families enjoy mimosas and bloody Mary’s for breakfast. That’s a tradition I try to start — unsuccessfully — each year. As far as my family? We try to see how many meals we can cram into the 27 hour period that starts at 8 p.m. Christmas Eve and ends at 11 p.m. Christmas Day. Five is our record. OK, it’s not a record … its a family tradition. Let me count.. The appetizer party after Christmas Eve services (8 p.m.); Christmas Day breakfast (7 a.m.); Christmas Day snack time (11:30 a.m.) because the big Christmas Day meal (3 p.m. is still several hours away; and finally the leftover and sandwich dinner with potato chips about 9 p.m.
It’s not the healthiest tradition, but we make it work. Come to think of it, my family spends more time in the kitchen over the holidays than any other room in the house. That’s another of our family traditions. 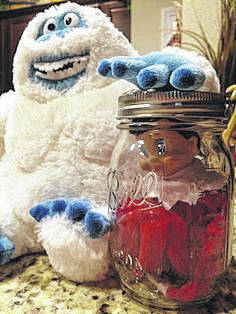 So what holiday traditions do readers of the Galion Inquirer have? I’m looking for examples — and photos — of holiday traditions your friends and family observe. Or do you do something a little different? Might everyone in your family wear matching pajamas, cook a turducken or something else a little different, go on a family 5k run? … Anything? I’m looking for little anecdotes — and photos — explaining those family traditions. Anecdotes and photos that I can share with other readers. If you’re willing to contribute, email the information to Russ Kent at rkent@aimmediamidwest.com or galnews@aimmediamidwest.com. Or send me a message and photo on Facebook. I’m pretty easy to find on there.